Would you welcome a shorter Stephen King read? Apt Pupil is a novella that is psychologically disturbing. In this thriller, King produces more tension, morbid curiosity, and disgust than "fear of what's under the bed." Chilling! 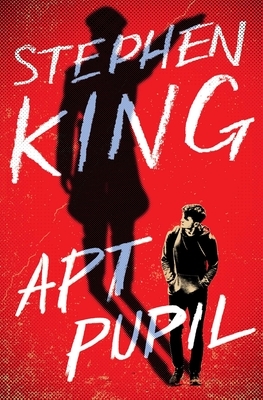 #1 New York Times bestselling author Stephen King’s timeless coming-of-age novella, Apt Pupil—published in his 1982 story collection Different Seasons and made into a 1998 Tristar movie starring Ian McKellan and Brad Renfro—now available for the first time as a standalone publication. If you don’t believe in the existence of evil, you have a lot to learn. Todd Bowden is an apt pupil. Good grades, good family, a paper route. But he is about to meet a different kind of teacher, Mr. Dussander, and to learn all about Dussander’s dark and deadly past…a decades-old manhunt Dussander has escaped to this day. Yet Todd doesn’t want to turn his teacher in. Todd wants to know more. Much more. He is about to face his fears and learn the real meaning of power—and the seductive lure of evil. A classic story from Stephen King, Apt Pupil reveals layers upon layers of deception—and horror—as finally there is only one left standing.